The partnership brings together Leonardo’s end to end capabilities in Customer Experience (CX), Business Process Management (BPM), Process Automation and Platform Engineering with Boomi’s leading integration technologies. The Boomi platform allows customers to reduce their time to market and improve their overall business agility while significantly reducing the costly time and energy it takes to integrate with systems, platforms and data. Leonardo is a market leader in providing integration solutions and operating containerised platforms. 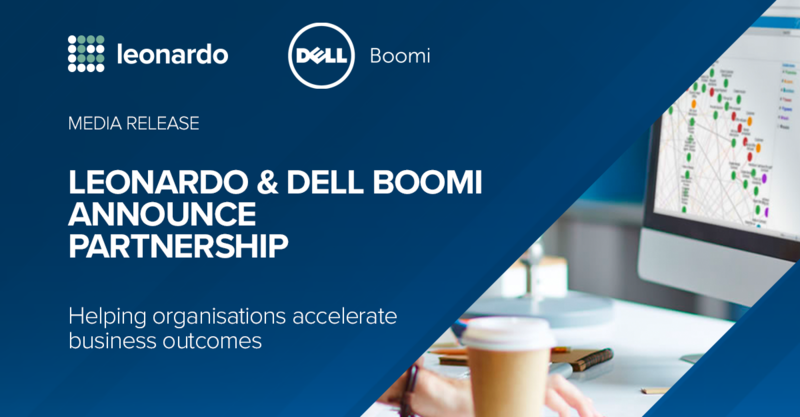 Together with Dell Boomi, Leonardo’s expert integration consultants can work alongside clients and support the organisation’s ‘Citizen Integrator’ who would prefer Dell Boomi's low code interface. To become more agile and to support smarter development, Dell Boomi’s visual drag-and-drop developer interface for building applications integrations, workflow, and managing master data is the key enabler. With Leonardo’s expertise in providing integration strategy advisory and architecture, the solution can be delivered with speed, agility, and repeatable quality. Leonardo’s unique end-to-end capability paired with Boomi’s elegant low-code platform will help our clients prioritise their strategic goals to achieve desired business agility. Rather than focusing on developing internal capability – enterprises can focus on achieving their business outcomes.